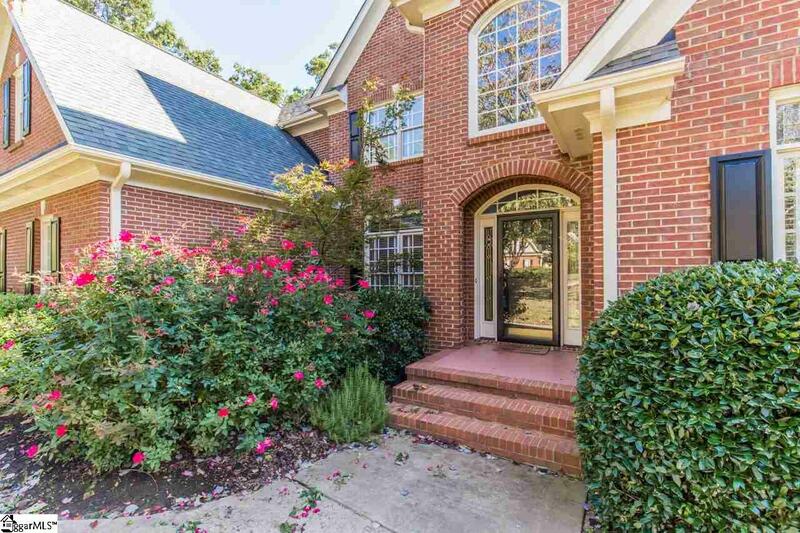 A simply beautiful home nestled in a quiet cul-de-sac on a 1/2 acre lot in a meticulously maintained neighborhood on the Pebble Creek Golf Course. 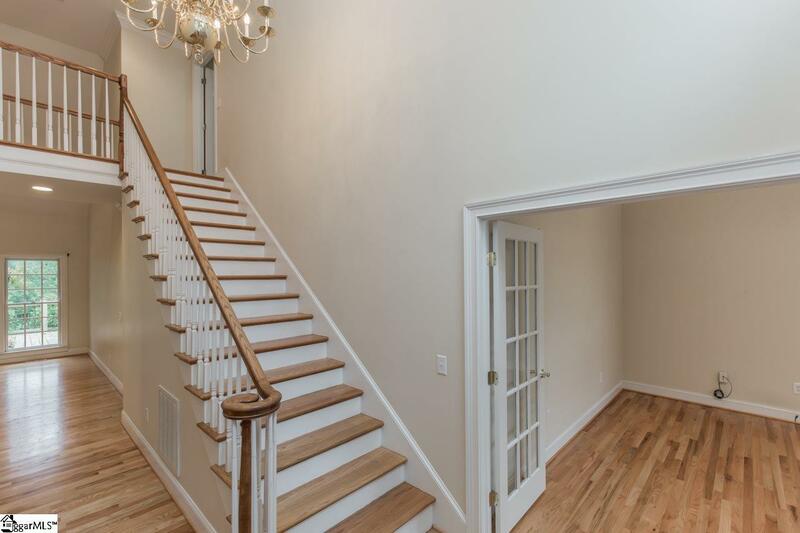 Enter the two story foyer to newly refinished (just for you!) hardwood floors. To your right are double French doors to a home office. To your left a sunny dining room that leads to a butler pantry with glass front built in cabinets and a galaxy black granite top. The kitchen boasts new stainless steel appliances and new designer lighting above the island. The sun/breakfast room also features designer lighting and looks out onto a massive deck which has recently been painted with gorgeous foliage surrounding it. Many peaceful mornings to be spent there. The kitchen also has a built-in desk area and is open to the vaulted ceiling living room that has a lovely marble fireplace surround and a bright airy feel. The first floor master has a triple trey ceiling and its own doorway to the deck. Massive master bath with an equally massive glass block window over the generous soaking tub. Two linen closets, two sinks, granite countertop, separate water closet, walk-in shower, fabulous. Upstairs are the other three bedrooms and bath with dual sinks as well as a terrific bonus room with attic crawl space storage and skylights. There's also an extra little room upstairs that could be used as a second desk space or just lots of storage. All the carpets have been shampooed. Side entry garage makes for great curb appeal too. This is a wonderful move-in ready home, PRE-INSPECTED and repairs made. To help you visualize - Sellers had very large pieces of furniture in both the master bedroom and the living room. Living room had a sofa, loveseat, chair, large coffee table, side tables, entertainment center, sofa table...Master Bed had a king bed, nighstands, large dresser with television cabinet, recliner and side table...So much roomier than pictures can show - We invite you to come see it! 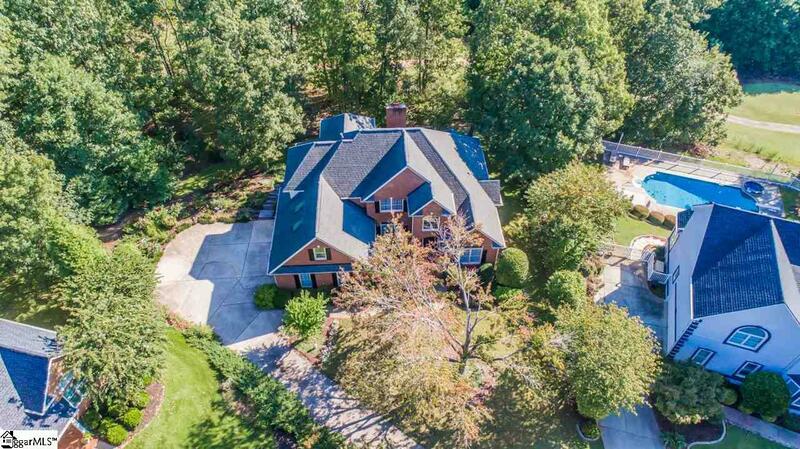 This great home has been independently appraised and is priced well below the appraised value. 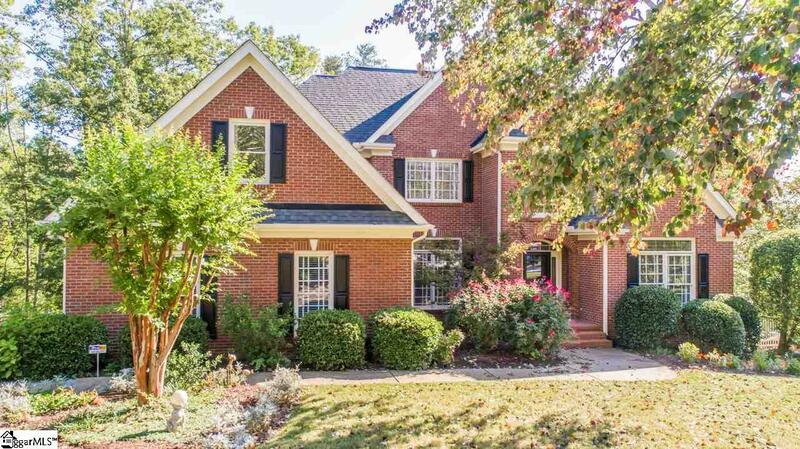 Listing provided courtesy of Erin Halperin of Coldwell Banker Caine/Williams.